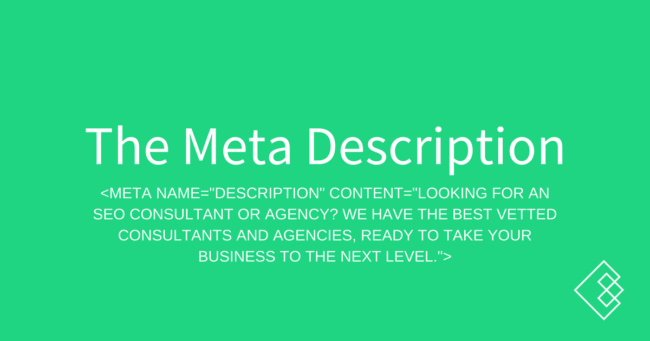 The meta description is a tag that goes in the <head> of your webpage and appears in Google’s search results to entice the user to click through to your website. It is not used in Google’s ranking algorithm, but the searched terms will be bolded if included in your meta description. What does a meta description look like?